red torch of sun about to burn out. slows like the banked embers along the horizon. Night blinds her until everything is sound. So short these signals of love. © 2010 by Mary Jo Balistreri. 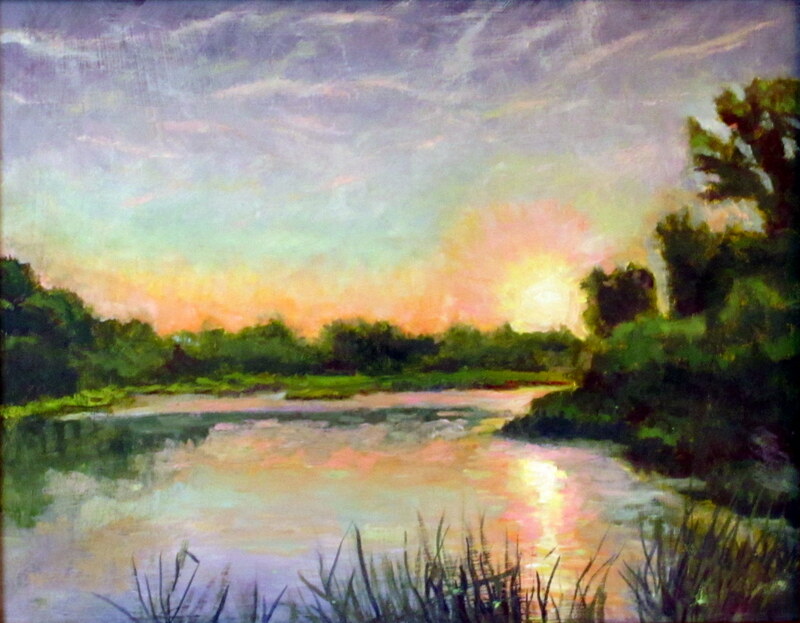 This poem was written to accompany this painting, "Mill Pond Sunset" by Carolyn Larkin. DTRAIN We now have a sense of what the painting sounds like and what courage feels like in the face of interminable grief. The ones we love/once loved are everywhere at every moment. Mary Jo has reminded us to use/perceive/sense/listen to what is right in front of us so that we may find them again -- reiterations of what we already hold within. Faulkner said: "I would say that music is the easiest means in which to express, but since words are my talent,I must try to express clumsily in words what the pure music would have done better." Mr Faulkner never met Mary Jo. I think he would have been stunned at how she gives us the gift of music through her words just as she once communicated her poetic words through music. This poem, as is the case with so many of Mary Jo's poems touches me deeply and in unexpected ways. Today's poem is a heart rending song that brings me to tears. It is a picture that combines colors and textures in a way I never saw. It is a story I am at first scared to read because on the surface it is sad....a grandmother missing her grandsons. A comparrison of each of their lives to that of a firefly's light -both too brief. I read the story and brace myself. I visualize the firefly's light so brilliant. It goes on. And then it goes out. The story is simple - it is what it is. Yet out of that very simplicity used to describe sadness that is beyond all comprehension a joyful, hopeful song begins. It is a song about one of the only absolute truths of this world -whenver there is love it will always remain. Long after the light that sparked that love goes out the wonder of love is remembered and shared. This poem is part of that love. It is love that we can hold on to -that we can hear -see -breathe in and out -and feel. What a gift this poem is! I love all the sensory detail in this poem. Gorgeous words--and that last line--made me weep. As one who believes poetry is mostly about images and well-crafted details, I love this poem and its feeling, as well as lines like "feathers of snow geese," and "red torch of sun about to burn out." The final stanza is perfect; accolades to Mary Jo, also one of my favorite Wisconsin poets! This is such a beautiful and heart-rending poem. 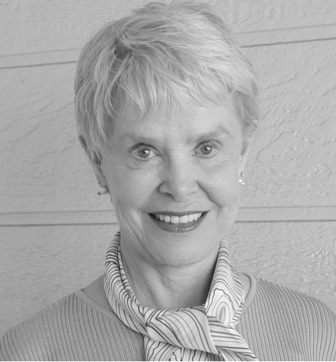 Mary Jo shares a depth of feeling with us that expands our grasp of reality. Her music continues...in words. She is one of Wisconsin's finest poets, and an inspiration. Judy w.